As I am getting the blog ready for a more regular flow, I want to include other moms. I meet with so many amazing women each day. They are amazing in a myriad of ways. They are on different journeys, in different phases of child rearing, and carrying different passions from God. I am blessed to be surrounded by such dynamic women. They have so much to offer our communities and the wisdom that can be gleaned from them is priceless. 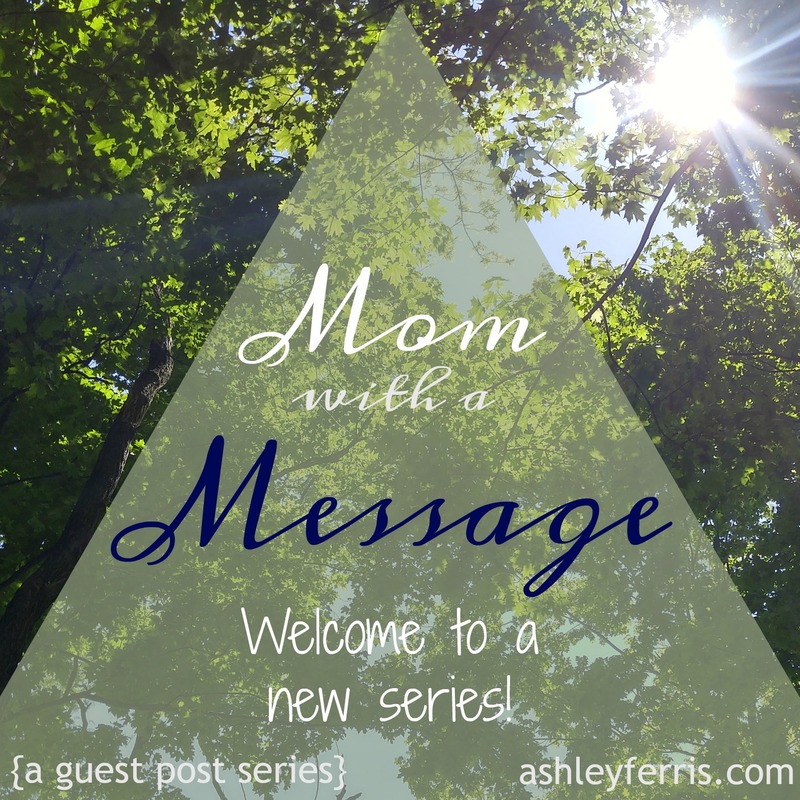 Starting in September, I will be featuring guest posts from moms who have a message to share. I hope they encourage you and give you the “me too” you are needing that day. We need each other and if you have a message to share, email me at awaketheheart@gmail.com with the subject line “Mom with a Message”. Or you can send a Facebook message to my author page Ashley Ferris. I look forward to what this series will bring. Spread the word and get to writing down that message God has placed in your heart!